State of the Art concussion management solutions to help athletes get back on their feet faster! When it comes to concussions, time and expertise are critical to avoiding unwanted consequences and obtaining optimal outcomes. Advanced Concussion Solutions is the regions’ first truly integrated concussion center, bringing together the field’s leading experts to collaborate and coordinate concussion care – to improve diagnosis, target treatment, and accelerate the brain’s recovery. Advanced Concussion Solutions in partnership with Gray Matters offers unparalleled, evidence-based concussion care. At Advanced Concussion Solutions, we combine an expert medical approach with leading specialists to offer the best solutions for patients every time. We are a certified testing center with two locations. One located in Westport and one in Greenwich. We offer individualized, comprehensive baseline concussion testing. This includes balance, vestibular ocular function, and ImPACT® testing and interpretation. We provide appropriate baseline testing that is tailored to your child by collaborating with your child’s teachers, coaches, and/or athletic trainers. Our mission is to achieve an optimal and safe return to learn and play for children, adolescents, and adults that have experienced a concussion. Recognizing that each concussion is different and each patient is unique, we provide personalized evaluations and recommendations for concussion management. We use a multidisciplinary approach to ensure optimal recovery from a concussion. Advanced Concussion Solutions works closely with physical therapists at Performance Rehabilitation for comprehensive, state of the art, concussion testing and management. Every year in the US. about 1.6 to 3.8 million concussions that are sports related are reported. Athletes in high school sustain more than 300,000 concussions each year. In every game session of football, at least one incident of concussion is sustained by a minimum of one player. 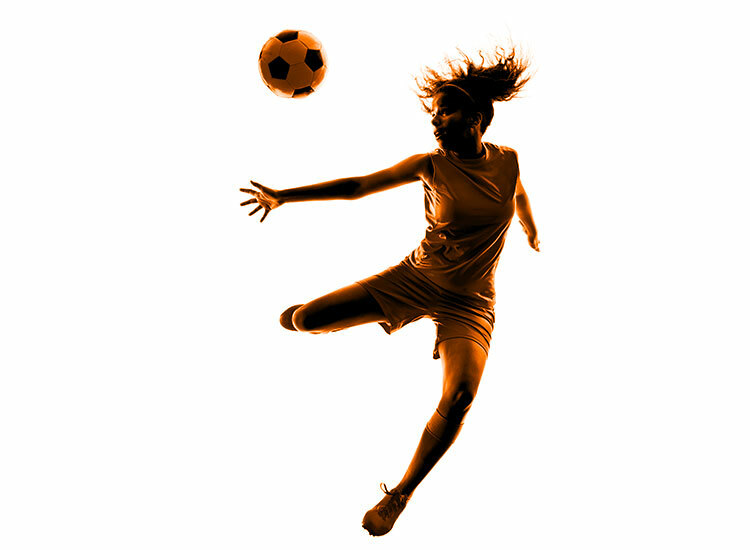 The most commonly associated high-risk activities with concussion are organized sports such as football, basketball, soccer or other competitive sports. Other recreational activities such as bicycling and playground activities are also associated with concussion. Concussions can happen anywhere – on the playground, on the playing field, in a car accident and at home. Concussion, a subset of mild traumatic brain injury occurs as a result of a blow, jolt, bump or other type of trauma to the head which leads to rapid movement of the brain within the skull. Concussions can occur through direct or indirect head trauma. Concussion s affect normal brain function and can have both short term and long term serious consequences if not diagnosed and treated in time. Symptoms of mild concussion include nausea, blurry vision, headache, confusion, fatigue, problems with memory, mood changes, sleep disturbances, and dizziness. Some of these symptoms are immediately evident while some may appear after a few days. If a second injury occurs before the brain has had time to recovery, an athlete is at risk for a rare but possibly deadly or debilitating complication known as second impact syndrome. Thankfully, second impact syndrome is very uncommon, but all cases have been associated with athletes going back to play before they had recovered from their initial injury. Concussions can be placed into 6 categories based on symptoms and physical exam findings. There is often overlap between these categories. These include vestibular (associated with balance), oculomotor (associated with eye tracking and vision), cognitive, emotional, physiologic (exercise tolerance), and cervicogenic (associated with the neck). Identifying the type of concussion is important because this guides treatment and promotes more rapid recovery. Most concussions resolve within 7-10 days in adults and in up to 28 days in younger children and adolescents. An individual who suffers concussion symptoms for longer than the expected duration may have post-concussion syndrome. Early diagnosis and management of concussions symptoms can shorten the duration of post-concussion syndrome. Personalized Concussion Care. Give us a call today for more information about us and the services we offer. Caring for Your Brain Health. Experienced and proven baseline testing and diagnosis leads to individualized treatment plans that results in the most optimal outcomes. With the most comprehensive and expert concussion care in the region offered by Advanced Concussion Solutions, both non-athletes and athletes have benefited from our comprehensive management and solutions. With our cutting-edge use of technology including ImPACT® testing, oculomotor and balance testing and quantitative EEG analysis with Gray Matters and Buffalo treadmill testing, we remove the guess work in post-injury assessment. Using comprehensive assessment protocols, our precise assessment results in evidence-based recommendations that stem from the direct measurement of brain function itself. Our accurate baseline testing, assessment and treatment recommendations save months or years from the recovery time. While competitive sportspeople can return to the field in optimal time, non-athletes and other patients experience less downtime. Advanced Concussion Solutions offers the most comprehensive and experienced concussion care in the region to both non-athletes and athletes. We offer targeted therapy for specific concussion types including vision therapy, subthreshold symptom exercise therapy, physical therapy and neurofeedback. Our accurate baseline testing, assessment and treatment recommendations save months or years from the recovery time. We provide personalized evaluations and recommendations for concussion management including educational presentations and sideline assessment. Individualized attention even when you’re not local: We work with athletes and young adults who are away at school to coordinate care and arrange prompt evaluation by local concussion specialists. We also offer telemedicine assessments when you’re too far away to come in for an appointment. We offer targeted therapy and treatment plans for specific concussion types including vision therapy, subthreshold symptom exercise therapy, physical therapy, and neurofeedback in partnership with Gray Matters. Research has shown that targeted therapy results in faster recovery.